The worst kept secret in the Australian channel came to an end with Microsoft announcing the localisation of its Azure Cloud services, which will now be hosted in Australian datacentres in New South Wales and Victoria. This should resolve any data sovereignty issues for local businesses, and brings the company to par with Amazon Web Services, which localised last year, and Google Compute, which is expected to do so in 2015. Microsoft’s executive vice-president for Cloud enterprise, Scott Guthrie, said, at the recent Microsoft TechEd in Sydney, that these three companies are now the dominant providers in the marketplace, marginalising smaller operators, such as IBM, Cisco and VMware’s offerings. “We think, ultimately, there’s only going to be three big vendors in the world that are going to be able to provide this kind of hyperscale reach: Microsoft, Google and Amazon,” he said. Gartner infrastructure software team research director, Michael Warrilow, agrees somewhat and believes that Google needs to raise its game. “Gartner’s view is that yes, they are the behemoths in Infrastructure-as-a-Service [IaaS]. Google is kind of doing now what Azure was doing in terms of jumping up the ladder quickly. Google needs to come to Australia. There are some things I know Google will announce; they know they need to get more competitive,” he said. Warrilow said the local Azure launch is a big opportunity for the channel. “It can be the catalyst for change, but resellers need to be willing to change, otherwise there are new competitors coming along. Kloud, is an example. It is born in the Cloud and offers a range of services around being a broker for medium-sized businesses whether they need Office 365, Azure, so on,” he said. 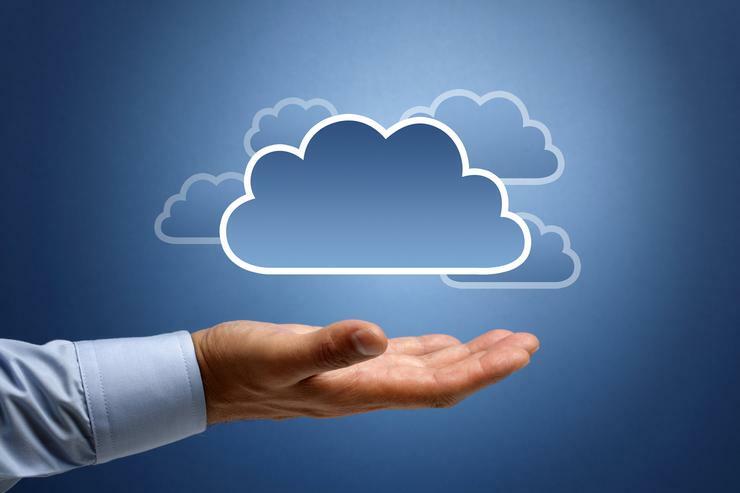 Telsyte’s senior analyst, Rodney Gedda, said it is too early to call any victors in the public Cloud market. “There’s always going to be change in markets. We saw the quite dramatic shift in mobility; Microsoft [MS] had a decent go in that but lost that war to Apple and Google,” Gedda said. “You could argue Microsoft was late to the game in the Cloud space so they’re investing heavily in that. Markets will change so I wouldn’t say there’s only going to be three. Distribution Central executive chairman, Scott Frew, said the launch of Azure locally will grow the market and be a good thing as long as there are differentiators, but any claims of there only being room for three big providers is absurd. Channel Dynamics co-founder and director, Cam Wayland, agrees, noting that, as the market matures, more and more resellers and service providers are realising that the public Cloud behemoths are complementary to their own offerings, rather than competitive. “Our research showed 12 months ago that the service providers saw the big public Cloud providers as being a threat to their business. The smarter guys are now realising that they can now use and integrate them,” he said. Read more AWS re:Invent 2014: The Cloud is the "new normal"
One of the key problems when using the major public Cloud providers is their complexity. Just organising and managing workloads, alongside tailoring offerings in terms of security and performance is beyond the reach of most IT managers. “VARs are really just demystifying and simplifying that process, and making sure the customer isn’t being overcharged. Cloud sprawl is a problem – you have all these services, on a credit card or whatever, but after a while, without proper management, your costs run out of control. That’s where the partner adds value because they have the big picture of the whole thing,” Wayland said. The key advantage to Azure’s launch locally is its data sovereignty concerns. The new Azure Geo’s sites in New South Wales and Victoria are geographically redundant and fulfil all Australian legal requirements. It brings Microsoft’s total number of geo regions worldwide to 19. NewLease head of Cloud strategy, Steven Parker, said his company is already moving some of its Azure assets into the new datacentres, and will be licensing Azure through its enterprise agreements. He believes that one of the rapidly disappearing issues is asset ownership in the new Cloud-based world. He also doesn’t believe that a public Cloud oligopoly will become the new norm. Microsoft also said that it will reduce latency issues. Microsoft will expand its ExpressRoute offering in Australia via its existing global partnership with Equinix and form a new alliance with Telstra. The expansion gives Australian customers and partners the option to create private connections between the Australia Azure Regions and infrastructure located on-premises or in a colocation environment. Microsoft claims that it has thousands of Australian partners, and that more than 70 per cent of them are SMEs. “There’s a rising tide and all you’ve got to do is make sure you’re in a boat that doesn’t have a hole in the bottom of it, then you should be fine,” Parker said. 1. Content distribution: Data can easily be shared between Microsoft’s 19 global geo-locations. For local businesses, ExpressRoute gives Australian customers the option to create private connections between the Australia Azure Regions, and infrastructure located on-premise or in a colocation environment. 2. Testing and R&D: Azure can be used for testing and development, including importing virtual machines and database replication. 3. Compatibility: If you’re using existing Microsoft products, including Azure, it is an easy switch with a consistent user experience. There are no changes required to your applications and infrastructure. 4. Disaster recovery: Having Australian geo-locations means that latency is low, all your data is kept locally, and recovery is quicker and simpler. 5. Data analysis: Microsoft claims Azure is built from the ground up to produce its own reports and data analysis without the need for third party infrastructure and applications, although those options are also available.